The inventive and innovative House Concert experience is heaven sent for the intelligent, sincere and articulate singer-songwriter. In this age of the music model rulebook being re-defined, the phenomena of taking live music into the home of the consumer has been growing in the UK since being re-invigorated by travelling artists from North America. The intimacy and connectivity of such an event can never be created in conventional settings. Maybe it will remain the domain of the commercially challenged artist, but there is no less substance on offer and one those missing out will be spiritually poorer for. 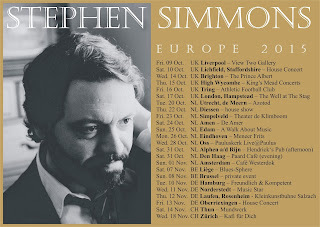 Stephen Simmons has been making the long journey from Nashville Tennessee to the venues in Europe for eight years now and epitomises the carefully crafted singer-songwriter meeting the high standards to succeed in Music City. This is obviously conditional that you buy into the ethos of success being defined by the quality of output and the fact that the artist continually survives in the cut throat unsympathetic world of the music industry. The evidence of Stephen’s recorded material and live shows plants him firmly in this camp and the lucky few present at this House Concert in Staffordshire had the best front row seats other venues couldn’t provide. Apart from the ubiquitous refreshment break, the structure and evolution of such an evening can be in a shared, flexible and non-standardised format. Artists will feel more comfortable with experimenting and the ultimate atmosphere of mutual performer-audience appreciation is probably never stronger. 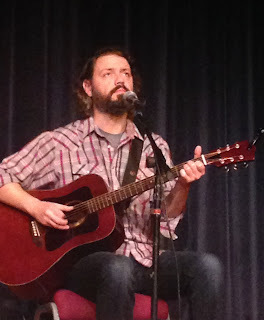 Stephen has been busy since he last visited this area almost exactly twelve months ago and several songs from his upcoming new album were tested out, even in the context of which key to use. Inevitably there were the usual requests alongside artist choice of back catalogue material and the odd cover which needs to add value without coming across as a mere filler. For this year’s UK dates, Stephen is being accompanied by his colleague Molly Jewell whose pianist and beautiful vocal qualities proved the perfect foil to the standard guitar and conventional southern male voice of the senior performer. On his previous two visits to the Staffordshire area, Stephen appeared solo, so this set up was a welcome adaption with perhaps the eventual hope that the full band may materialise one day. Stephen invited Molly, who also happened to be celebrating her birthday, the sole limelight of three solo numbers at the start of each set and she duly showed the glistening potential of a seriously influential singer-songwriter in the country folk tradition of many performers attracted to the collaborative environment of the wider Nashville music community. Think of an emerging Beth Nielsen Chapman, Gretchen Peters and Mary Chapin Carpenter thirty years ago and you are approaching the right territory. Born and bred in Tennessee has played a significant part in forming Stephen Simmons – The Artist. Country music is right at the core of his art without defining the perception and aggregated exterior. His style is all about the song, message and powerful artistic device of sharing your thoughts via guitar tunes and heartfelt lyrics. Schooled in rural East Tennessee and cutting it in the hardened surroundings of downtown Nashville has created a toughened and strong edge to his onstage persona. 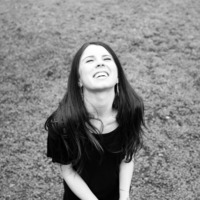 When asked recently to choose between country and folk, fellow US musician Carrie Elkin said ‘all the best country songs are effectively folk songs’. This quip goes a long way to defining the music of Stephen Simmons. To put a little bit of song flesh on the evening’s bones, two exceptional covers presented were Townes Van Zandt’s ‘If I Needed You’ and Neil Young’s ‘Helpless’. The latter was delivered in a duet format showcasing the vocal and musical chemistry between Molly and Stephen. The pick of Stephen’s new songs was ‘West’, while from his back catalogue ‘Shirley’s Stables’, Emily’s Eyes’, ‘I’ll Be Your Johnny Cash’, ‘Limavady Blues’ and ‘Asheville Girl’ stuck in the memory. ‘Yellow’ and ‘Tricky’ were examples of Molly’s super contribution to the evening which was crowned by the serenading of happy birthday from the audience and the surprise attendance of her parents flying in from the States for the show. The resounding success of the evening had a threefold sense of satisfaction. First the discovery of Molly Jewell as an emerging talent, followed by further confirmation of Stephen Simmons being an excellent singer-songwriter equipped with the roots, outlook, skills and state of mind to represent the best of his home State. However the cream of the evening was an initial experience of the fulfilling House Concert movement and the joy of appreciating fine music is such a unique setting.